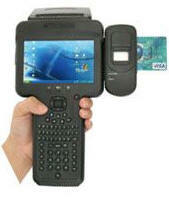 Mobile Printers are of course among the various types of printers created. Their technology is enclosed in a small-sized, fully hi-tech, lightweight and compact body. 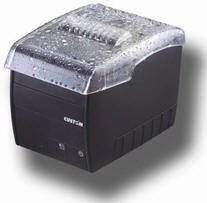 Despite their compactness, these Mobile Printers have a large roll of paper and offer high printing autonomy. Mobile Printers have been designed for the professional sector and are equipped with all the features and accessories to make this working tool versatile, easy to handle and high performance. Even these Mobile Printers, like other products keep a careful eye on design and elegance. 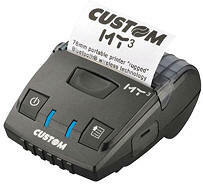 MY³ is the printer created by Custom for professional use. MY³ prints on 76 mm paper width and up to 100gr/2 thickness at 75mm/sec printing speed. Complete with paper end and head temperature sensors, the printer supports 4 upgradable client logos (576x450dots) and prints the most common 1D barcodes and PDF417, QRCODE 2D barcode. Self-installing drivers: Windows XP, Vista, 7 (+64bit support), Linux(32/64 bit), Android. A multiple docking station (1 or 4 places) is available for MY³ printers. 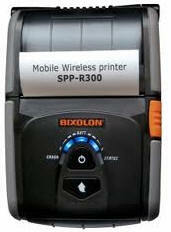 "Wireless" printing thanks to Bluetooth® wireless technology. The profiles supported are SPP (Serial Port Profile) through which it is possible to simulate a RS232 serial connection. 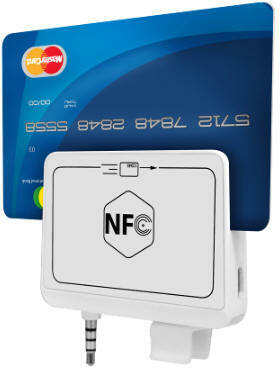 Microsoft chooses CUSTOM as partner for the new Bluetooth printing solutions with the latest smart phones equipped with Windows Phone 8 operative system. To download the (SDK) library directly from the Microsoft store, click here. Click here to download from the store to the Android APP Custom Print developed by Custom. Click here to download from the store to the Apple APP Custom Print developed by Custom for MY³A.